Tickets are now on sale for X-Posure Live with StubHub! for Global's Make Some Noise, which takes place on Wednesday 4 November at Tooting Tram And Social. Headlining will be Nothing But Thieves, previously one of our Great X-Pectation tips for 2015. Hailing from Southend, the band consists of Conor Mason (vocals), Joe Langridge-Brown (guitar), James Price (drums), Dominic Craik (guitar) and Phil Blake (bass). They recently sold out a show at London’s Electric Ballroom, and are due to release their self-titled debut album on 16 October. Support comes from singer-songwriter Kimberly Anne, who has just sold out two shows at London’s Barfly and has just released her new single, Bury It There. Also on the bill are Canterbury five-piece Broken Hands, a John Kennedy favourite who released their debut album Turbulence earlier this month. It’s all thanks to StubHub – the way ticket buying should be. 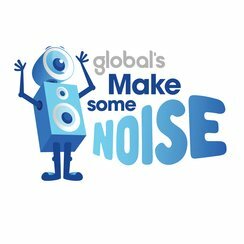 Proceeds will raise money for Global’s Make Some Noise, a national charity that helps to change young lives, brought to you by by 8 of the best loved commercial radio stations in the UK: Heart, Capital, Capital XTRA, Classic FM, Smooth, LBC, Radio X & Gold.